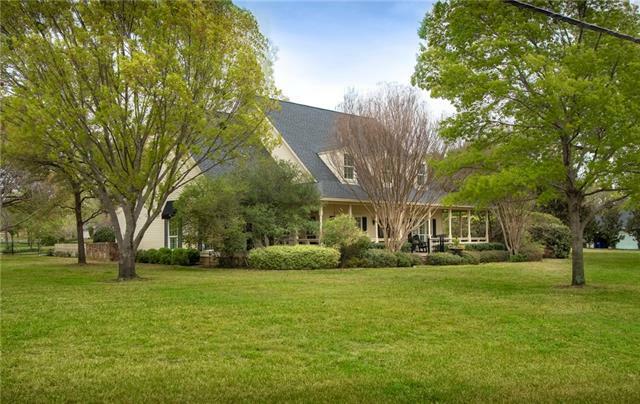 All Collins Add homes currently listed for sale in Colleyville as of 04/20/2019 are shown below. You can change the search criteria at any time by pressing the 'Change Search' button below. "Must tour in person to appreciate the exquisite southern living charm of this property & home! Sitting back on luscious, landscaped acreage w multiple water views, this home has it all inc a front wrap around porch, pergola & sep luxury guest home-apt w balcony! 4 bedrms in main house w 3.5 bathrms, 3 living areas and 2 dining areas. Adorned w hardwoods, beamed ceilings, grand staircase, and more, it will be hard to find anything like it! Kitchen has top-rated appliances inc builtin subzero re"